The turbine, which will be about 70 feet high, cost about $20,000. Donations covered the expense. 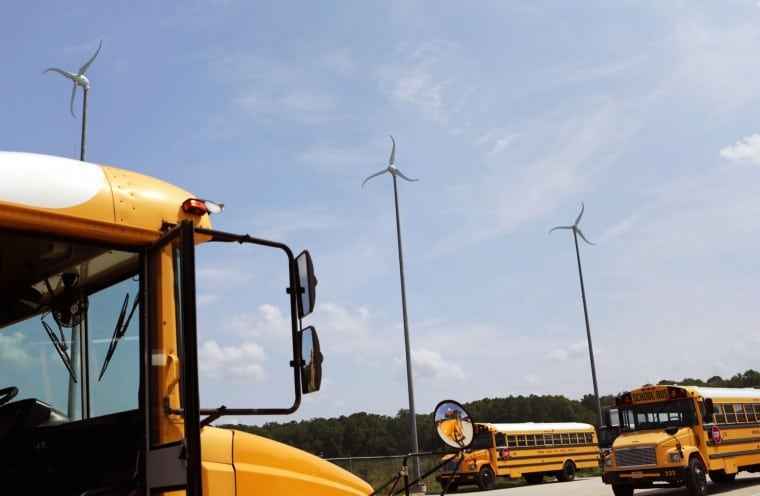 This is not the first time a South Hampton Roads school division has delved into wind energy. 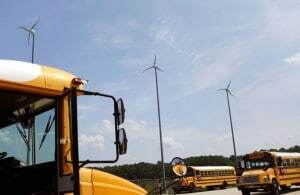 For about the past three years, Virginia Beach has used four 60-foot windmills to help power a garage on Harpers Road where buses are worked on. The project cost the Beach division slightly less than $100,000. Officials think the energy it produces will make up for its price tag within 11 years. 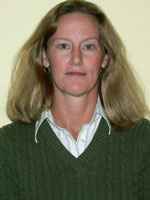 In 2005, the U.S. Energy Department launched the Wind for Schools project to help those interested in tapping into that power source. Since then more than 130 systems had been installed at schools in 11 states, including more than a dozen across Virginia and North Carolina. 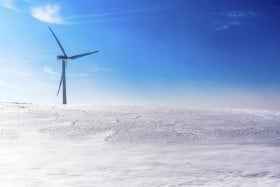 Wind for Schools does not provide funding, but helps schools to find money. The standard turbine in the Wind for Schools project costs up to $20,000 and is 2.4-kilowatts. The turbines have attracted little criticism because the turbines aren’t large or loud enough to cause complaints from neighbours. Three Blades or Two Blades?